A satirical print publication for the aspiring cult leader. Advertising campaign for New Zealand Tourism - live brief + case study. 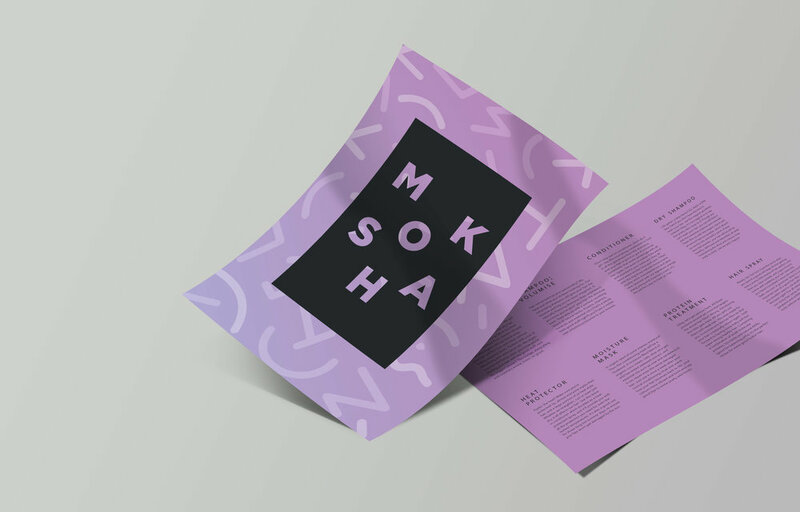 Brand identity for Moksha, the organic haircare brand that packs a punch. Print publication dedicated to art and design, with a focus on print media. Vinyl cover for Dallas' The Rose Tint album. An expressive typographic poster based on Charles Bukowski's Bluebird poem. A poster series promoting the benefits of raw milk. Brand identity for Karisma - a beauty therapy studio in Auckland. A collaborative project for Spark NZ. Graduate project. An investigation into how designers can create emotive value in their work through the core design elements.